Paul Giguere is a principal project specialist at AIR. Dr. Giguere works with projects to strengthen their use and integration of technologies which include distance learning, social media, multimedia, and other core technologies. He brings more than twenty years of experience in program, instructional design methodologies, and technical skills, particularly in the area of training and technical assistance. Dr. Giguere has guided the overall strategy and plan for effective and innovative use of technologies in a broad number of national training and technical assistance centers. These include the integration and implementation of distance learning and emerging technologies as well as the design and implementation of communities of practice models for training and technical assistance. He was formerly senior director for academic initiatives and an assistant professor at the Friedman School of Nutrition Science and Policy at Tufts University. He directed the Office of Academic Initiatives, which provides leadership and capacity to promote and support academic innovation, vision, collaboration and inquiry. Dr. Giguere developed a blended learning master’s degree program for the United Arab Emirates in nutrition science and policy. He was also associate director of communications for a USAID Collaborative Research Support Program project for Asia and Africa and worked on development efforts in India and Mexico. 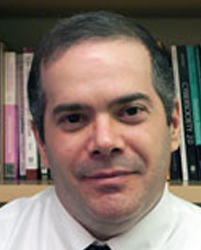 Prior to Tufts University, Dr. Giguere was a senior technology scientist for Education Development Center, Inc. where, for fifteen years, he was responsible for investigating and implementing distance learning systems, theories, and practices for the delivery of training and professional development. His work has helped advance the adoption and implementation of distance learning initiatives in agencies such as the U.S. Department of Education, the U.S. Department of Health and Human Services, the National Science Foundation, and the World Health Organization (WHO).